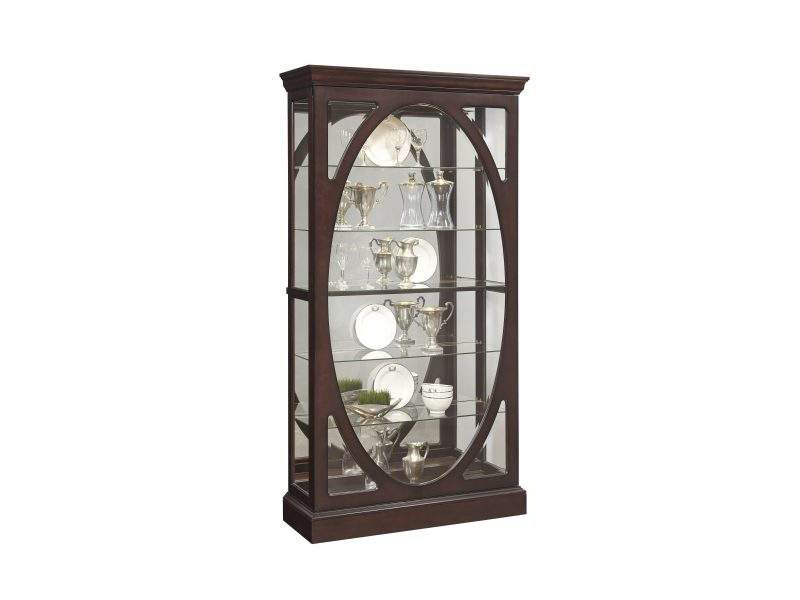 Traditionally styled, this oval framed Curio provides a distinctive display option. The oval frame on the front sliding door guides the eye in, to view the curios contents. Display china, accessories, vases and stemware easily in this piece. The mirror back and three way lights draw even more attention to your display.